Golf Digest messed up big time. On July 4th of this year, a delegation of Sikhs from through out the United States participated in the annual National Independence Day Parade. 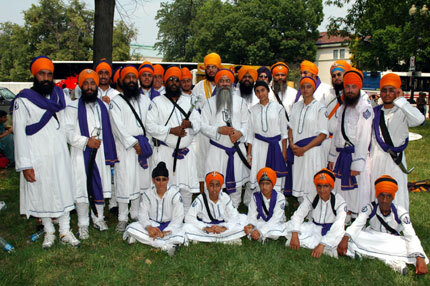 Under the umbrella group of Sikhs of America, the delegation marched in the parade with a float as well as performed the Sikh's martial arts of Gatka. You can see more photos from the joyous event by seeing them on The Ink Spill's website. Currently they are being kindly hosted by Sunmit Singh, who spear head’s the RootsGear effort. Dashmesh Pictures represents the Sikh voice through art and film.